Pour oil into a 10-inch sauté pan with lid. Place pan over medium high heat then add shallots, garlic, ginger and serrano pepper. When the shallots become translucent add the curry, mustard, and white pepper. Stir for one minute then add water, and spinach; cover and lower heat to medium. Cook for 10 minutes. As the spinach thaws, gently stir in salt, sugar and tofu. When the spinach is completely thawed, pour in coconut milk and continue cooking, uncovered over medium heat for 10 minutes. Stir occasionally. Serve piping hot over grains or rice. 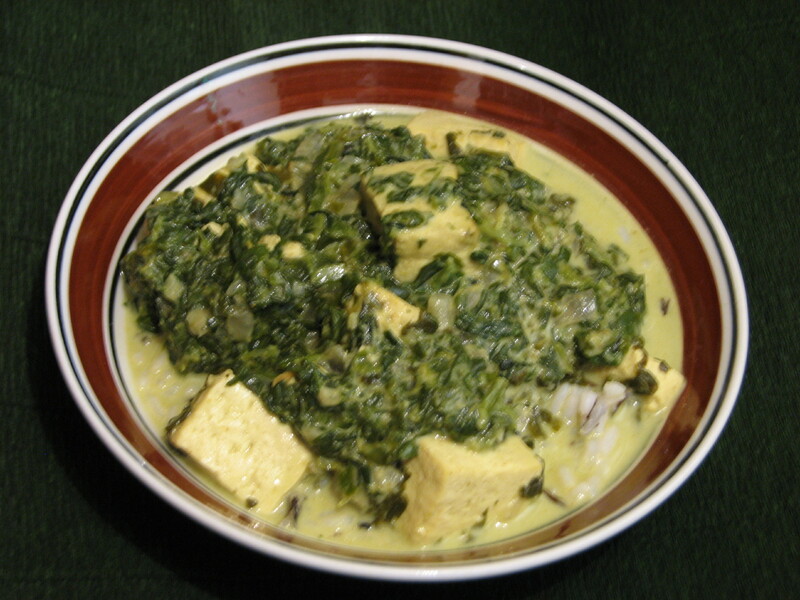 This entry was posted in Uncategorized and tagged chef susan beach, coconut milk, curried spinach, isimmer, isimmer blog, isimmer.com, tofu, vegan, vegetarian. Bookmark the permalink.